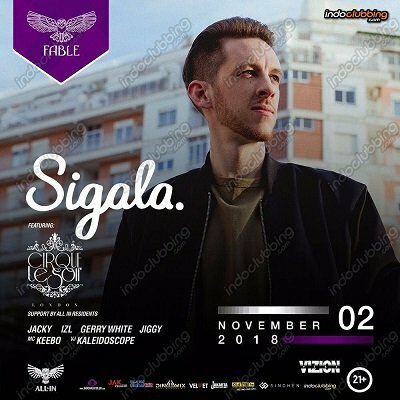 Bruce Fielder, or known professionally as Sigala, is an English DJ, record producer and remixer from Norwich, Norfolk. You might want to dance and sing along his hit singles such as Easy Love at Fable, on Friday, November 2 2018! Mark the date and spread the good news to your friends!